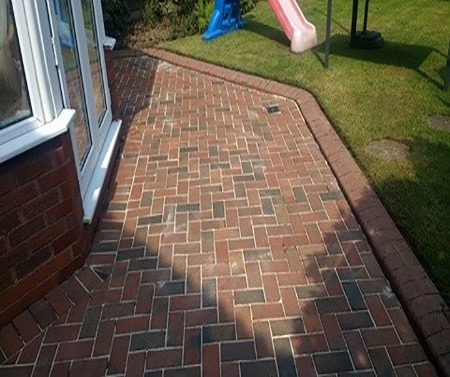 Olympia DGM provide quality block paving cleaning in Selly Oak, Longbridge, Kings Heath, Kings Norton and througout Birmingham. Block paving will inevitably deteriorate over time with a build up of moss, grime and algae, if not regularly cleaned and maintained this will hide the colours and vibrancy of your paving blocks. We continually invest in the very latest high pressure cleaning equipment available, which enables us to carry out top quality cleaning and maintenance for driveways, patios and decking areas. The full recommended process includes clean, sand and seal and the results are spectacular and is a genuine, cost saving alternative to the higher expense of a full new drive. 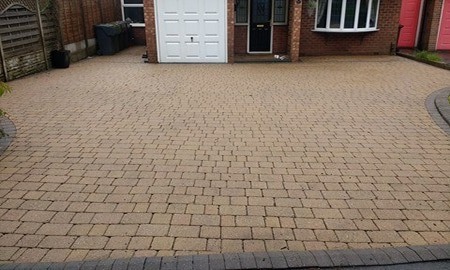 We’re a family run business who have carried out lots of driveway cleaning in Selly Oak and Kings Norton, Kings Heath and across Birmingham, to find out more please contact us! 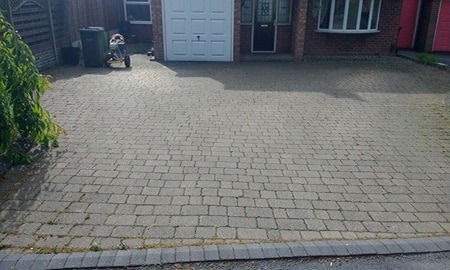 Olympia DGM offer professional driveway cleaning and garden maintenance across Birmingham for both domestic and commercial clients at competitive prices. Our goal is simply to provide the exact service required, with no surprises and a smidgen of 'wow' added in.